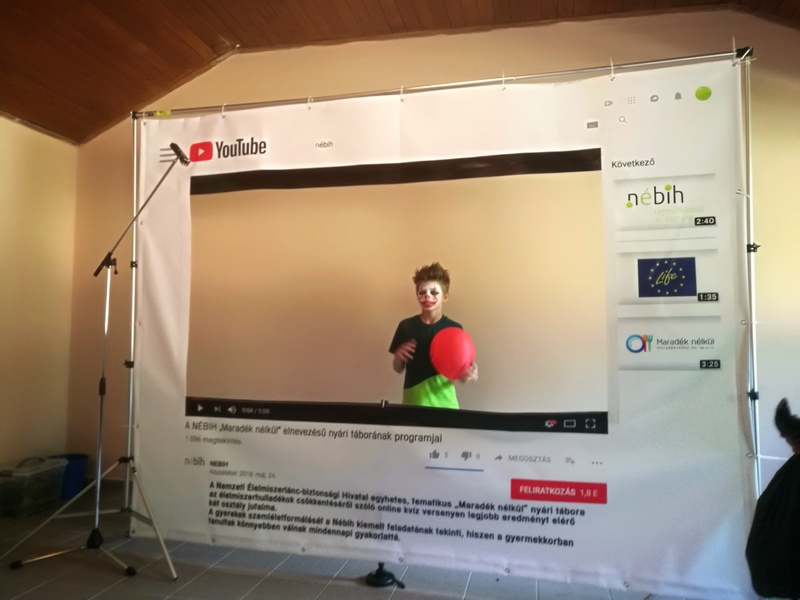 Between 18th and 24th of June 2018, a one week thematic summer camp was organized by NFCSO’s programme, Wasteless. The 4-6 graders had the opportunity to take part in the nationwide quiz competition launched in spring. The award of the two winner classes was the participation in the first Wasteless camp. One of the classes was from Nagy Márton Nationality Language Educational Primary School of Ják, and the other one was from Szent Miklós Greek Catholic Primary School, Kindergarten and Elementary Art School of Edelény. Let’s see what happened during the 7 unforgettable days! We made a lot of pictures, hoping to arouse the interest in our camp to be held next year. 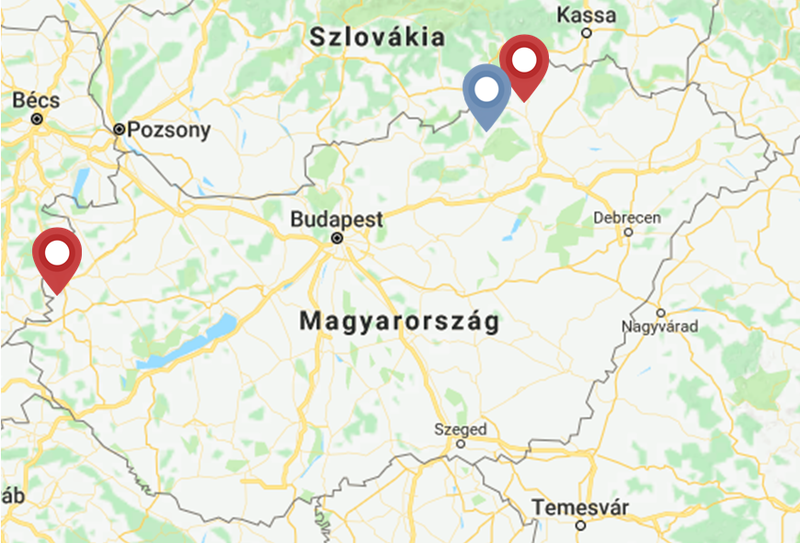 The class from Ják had a long, six and a half hour journey; however the group of Edelény arrived within one hour at the location of the camp, the Experience Basis Youth Hostel of Szilvásvárad. After occupying the dormitories we introduced the programs of the week to the children, and then we divided them into groups consisting of 8-9 students, and all of them had to name their own group, thus establishing the Tiny Team, the Fruit Cubes, the Power of Waste and the group of The Pros. The four groups, competing with each other, endeavoured to obtain as many points as they could during the whole week. We paid attention when forming the groups, each of them to contain students from Ják as well as from Edelény. Afterwards it was proved to be a good idea, as many countrywide friendships have begun. The groups got a short time to get to know each other, and then the first, literally “shaking up” skill game started. We wanted to measure the level of the students’ knowledge in terms of the Wasteless curriculum, so they got a short test. Thus we could see which part to focus on more during the lessons of the Wasteless camp. 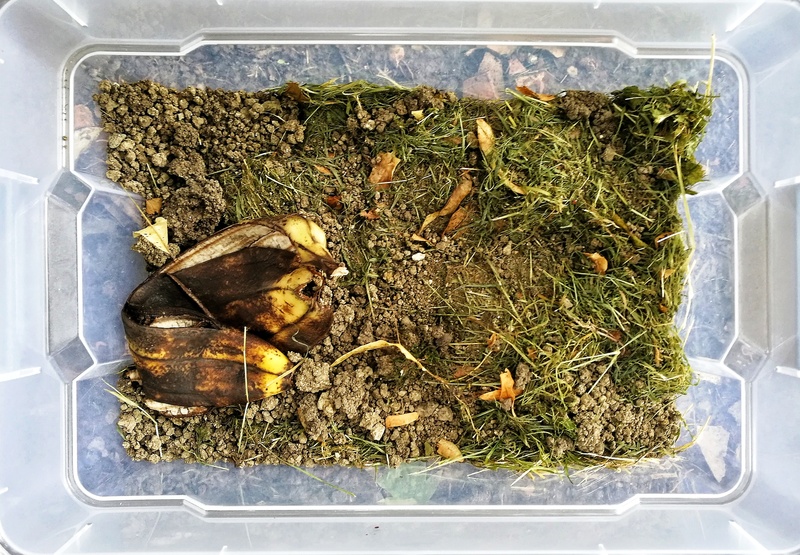 On Tuesday we held the first Wasteless lesson, on which the children could get acquainted with the basic terms, the different categories of food waste, and we also introduced them the process of composting. On the artisan activity on Tuesday, the children made posters displaying food wastage prevention, montages, team flag, and pom pom fruits (apple, orange, peach). While the children were creating, they left some snack on the table, and an endemic squirrel joined to our programme Wasteless and became a returning guest taking away small pieces from the jam-filled pastry leftovers. During the afternoon we got on a forest train and then travelled to the Gloriette-glade. We walked to Istállós-kő Cave and on the way back we had some rest besides the Szalajka-fount. During the tour a nine spotted moth (Amata phegea) became our faithful companion: each student could meet 2-3 individuals at the same time. After the exhausting trip, the students calmed down playing football in mixed boy-girl teams. On Wednesday too, the breakfast was followed by NFCSO’s lesson: we were talking about the stakeholders of the food chain, the distribution of food waste and their environmental impacts. We followed-up on the broadening of the children’s knowledge constantly with questions in connection with the curriculum. With all correct answers the teams strengthened their groups with points. It wasn’t enough to be sporty on the skill race on Wednesday, but they had to use their knowledge obtained during the lessons. In the afternoon we visited the Szalajka Valley again, where we faced our fears in an adventure park. While half of the group was striving with acrophobia, the others were washing beautiful stones in the stream, which could be identified with a guide table. The children weren’t tired at all: in the evening they played a football rematch. We often started the morning with some physical training. In the morning colleagues of Tesco and a representative of the Catholic Charity demonstrated the donation and transportation process of food that is not purchased but appropriate for human consumption. We could see the products that a general consumer leaves on the shelf just because it doesn’t satisfy the aesthetic expectations. We could see over-raised cocoa crescent roll, injured doughnuts, pizza with slipped salami and apples that were a bit hurt. We tasted them and in fact we can say: all of them were perfect. In the afternoon we visited Dobó István Castle Museum, which was current (yet and already) for the 5th and 6th graders regarding their literature studies. We could see, but particularly could hear authentic rifle handling, and besides the red marble tomb of Dobó István we could listen to stories about the fate and the valiant guardians of Eger Castle. During the day everybody was wearing their NFCSO T-shirts to easily recognise each other in the crowd. On Thursday evening, instead of football match the children wanted to play handball and badminton. Playing with water bomb is very good. In the Tesco our questions were always answered. In the afternoon we were playing activity board game and food wastage puzzle. It was a big competition, everyone wanted to gain as many points for their groups as they could. While the children were having dinner, we prepared for the evening treasure hunting: we hid many treasures, which they had to find with a flashlight. The watchful students noticed some of the treasures and started early treasure hunting, sometimes moving them to a new hiding place. But we were tricky, so we collected all the – already not very secret – treasures, thus all the players could start with a clean slate. This day we heard some of the children saying “I don’t want to go home”. And we realised that we had the same feeling. On Saturday everybody was very excited during preparing for the presentation of the week project. They were rehearsing their scenes, painting their faces, blowing up balloons, selecting songs. However, they had enough time for some physical activity: they played tag and dodge ball. There was someone who has learnt badminton in the camp and developed his skills to an advanced level during the week. Those who wanted could finish their artificer creations, making pom-pom fruits and posters. In the afternoon the groups presented their pieces. Every show was welcomed with a great applause. We could see very clever and funny scenes: from Titanic, from It, from Dora the explorer, from the evening news, but one of the groups choreographed a group dance too. We were listening to music, dancing limbo and Macarena, and as the greatest joy of the children, we described them the wifi code during the activity board game. The last breakfast has come and we can tell without cliché, we were extremely said. The results showed the same that we experienced: the children were paying attention on the lessons of NFCSO’s Wasteless programme, since at the end of the week they reached 81% when filling out the tests. We would like to say special thanks to the colleagues of Kaméleon Kft., to the teachers of the classes, but particularly to the participating children. We enriched with a lot of nice memories and happy moments. Some waste has been left on our plates, but the restaurant satisfied our request and we got smaller portions and we were making progress constantly, which was recognizable too looking at our waistline. We hope that we will enrich with the same nice experiences next year. We encourage every student to participate in our quiz next year. Thank you Edelény, thank you Ják! You may find our full gallery on Facebook.